It is one thing to make your video productions look visually amazing; Using the latest DSLR video cameras, great lighting techniques, sharp editing skills, filters and colour grading. But unless you get great audio from the subject you are filming the project can fall flat. To us at 3 Cheers Media videography audio equipment is essential to get the job done right. Without a good sound set up audio can sound flat and poor on the final product and we don't want that for our clients. This little bad boy is perfect for small spaces. We will be using it to get great audio on things like weddings and interviews. At a wedding you can place the Zoom H1 in the right spot to pick up speeches or the ceremony. Nice and discreet! Cant wait to use this! 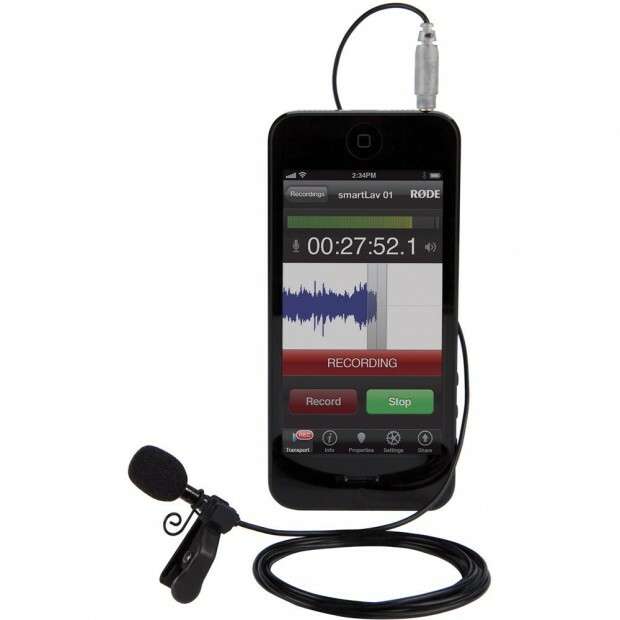 The smartLav+ is a broadcast-grade wearable microphone that can work straight from an iPhone using the Rode Rec App. Brilliant audio quality too! It is a discreet, portable format without the complication and expense of additional wireless equipment. Also works great with the Zoom H1.